You are currently looking for Holiday Cottages in Camelford to help you find the right cottage break you can filter the results. Bluebell Cottage (Camelford) sleeps a maximum of 4 people. Marhayes (Camelford) sleeps a maximum of 6 people. 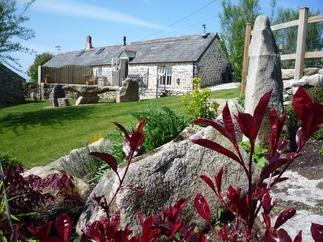 Owl Cottage (Camelford) sleeps a maximum of 4 people. Stow Cottage (Camelford) sleeps a maximum of 6 people. Lilyvale (Camelford) sleeps a maximum of 4 people. Roofers Retreat (Camelford) sleeps a maximum of 4 people. Treval Lodge No 40 (Camelford) sleeps a maximum of 6 people. The Red Door (Camelford) sleeps a maximum of 4 people. Cobblers (Camelford) sleeps a maximum of 2 people. Trevinny Lodge No 37 (Camelford) sleeps a maximum of 6 people. Oaklands (Camelford) sleeps a maximum of 6 people. Water's Edge (Camelford) sleeps a maximum of 2 people. Number 71 (Camelford) sleeps a maximum of 6 people. The Barn (Camelford) sleeps a maximum of 5 people. Bybrook Lodge (Camelford) sleeps a maximum of 6 people. Chy an Dour (Camelford) sleeps a maximum of 6 people. Westroose Farm House (Camelford) sleeps a maximum of 8 people. The Farmhouse (Camelford) sleeps a maximum of 6 people. Warmington House (Camelford) sleeps a maximum of 12 people. Villa No 50 (Camelford) sleeps a maximum of 4 people. Lanteglos Villa 25 (Camelford) sleeps a maximum of 4 people. 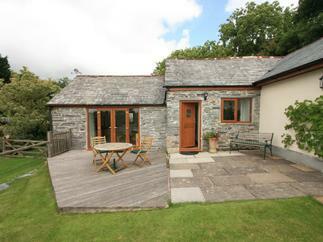 Dove Cottage (Camelford) sleeps a maximum of 2 people. Llamrai (Camelford) sleeps a maximum of 4 people. Westhayes (Camelford) sleeps a maximum of 6 people. Hengroen (Camelford) sleeps a maximum of 4 people. The Old Stable (Camelford) sleeps a maximum of 4 people. Goose Cottage (Camelford) sleeps a maximum of 4 people. Tree Tops (Camelford) sleeps a maximum of 6 people. Highfield (Camelford) sleeps a maximum of 6 people. Atlantic Breeze (Camelford) sleeps a maximum of 8 people.